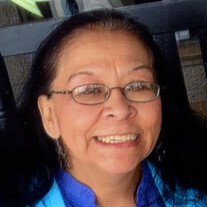 The family of Melanie "Nancy" Garcia Hernandez created this Life Tributes page to make it easy to share your memories. Age 61 of West St. Paul. Passed away Monday, January 21, 2019. Send flowers to the Garcia Hernandez's family.